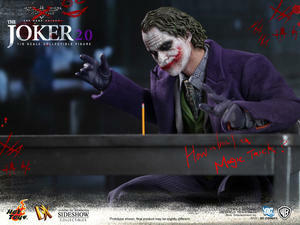 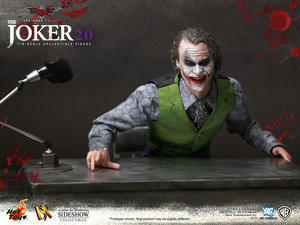 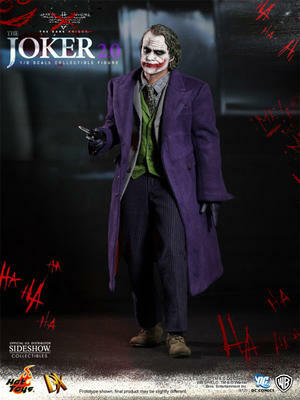 Hot Toys are proud to announce the Joker DX 2.0 Sixth Scale Collectible Figure. 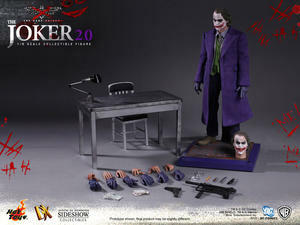 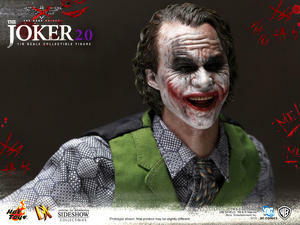 Following the overwhelming reception of the original Joker DX, Hot Toys presents this advanced version, specially crafted based on the image of Heath Ledger as The Joker in The Dark Knight. 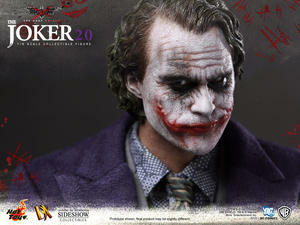 Featuring detailed head sculpts and paint crafted by artists Yulli & JC. 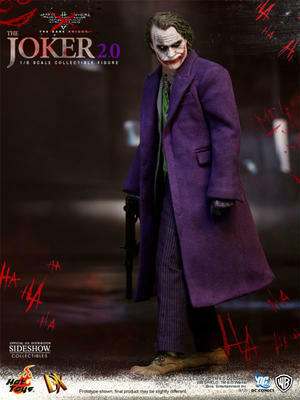 Hong, along with an extraordinary costume created by costume artist Kato, the DX Joker 2.0 Sixth Scale Collectible Figure is truly movie-accurate; equipped with Hot Toys' patented Parallel Eyeball Rolling System (PERS), highly detailed accessories and weapons.